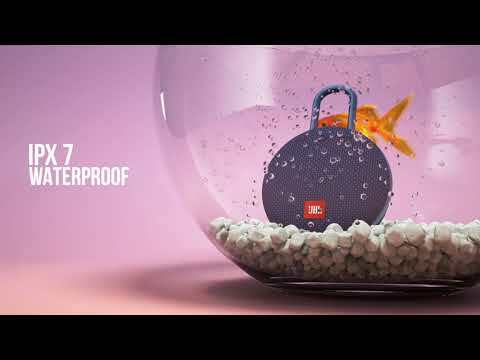 JBL CLIP 3 is rated 4.0 out of 5 by 78. Rated 5 out of 5 by K700mb from Excellent I got this as a gift for my Asian friend and he won't stop blasting his oriental music around work. So I assume he loves it. Rated 5 out of 5 by MalindaG from Sounds Amazing! I bought this speaker about 2 months ago and taken it to various locations. It always there to entertain me. Really Love The Sound. Enough Bass and Crystal Sound. Everything is Simply Great! Highly Recommend This Beautiful and Amazing Product For Anyone Who Needs to Get A Great Product at a Reasonable Price Tag. Yes! Two quick presses on the play/pause triangle does the trick. Same on the Charge 3 when playing Pandora.